Ok, I laughed all the way through this one. Great observations, MNG! I used to work at the Met and would see those leash babies on occasion which bizarre, but never with Elmo. 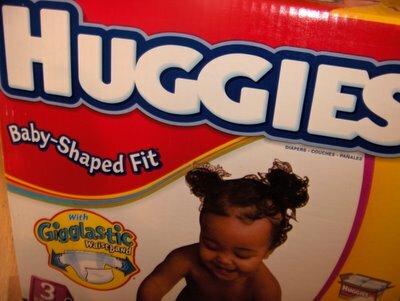 Lovely to see he has cornered the baby leash market. Then again, he operates when someone shoves their hand up his nether regions, so it seems he's seeking revenge. You are STILL the funniest man alive. I hate leashes on kids, so very much. 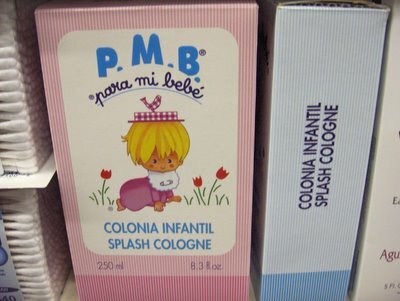 For crying out loud, people, just *watch* the kid. 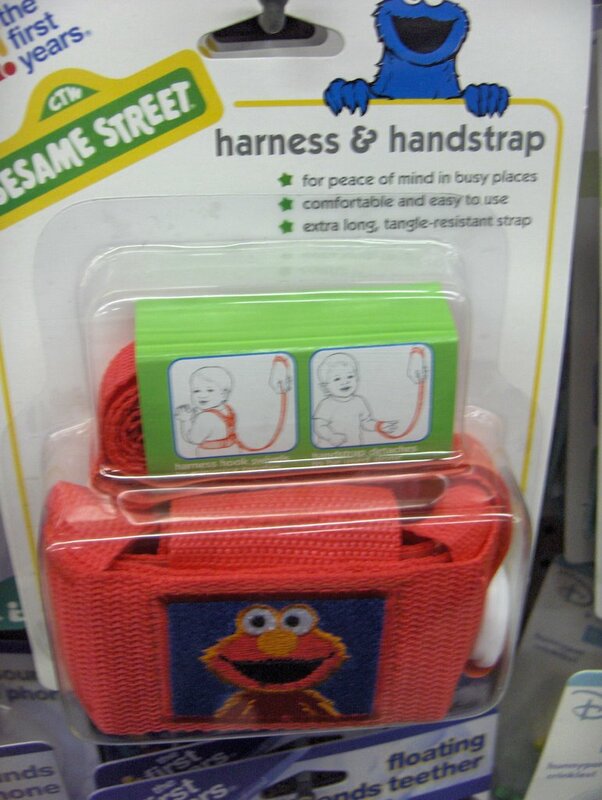 OK, we've thought about using the Elmo leash...in part because Sophie has this tendency to dash out the door when the subway stops, and besides..she loves wearing the Elmo. The downside is the inevitable therapy bills we'll have to pay. So, we haven't done it, and instead settled on tattooing her name and address on her. OK, not really. I used to hate those leashes until I spent an afternoon helping my aunty with her grocery shopping accompanied by her 2 year old triplets. Then they became priceless. Awesome post Mr. Nice Guy. I'm STILL laughing! You are absolutely hilarious! Oooh, I *need* that leash! Well, actually, I need two. 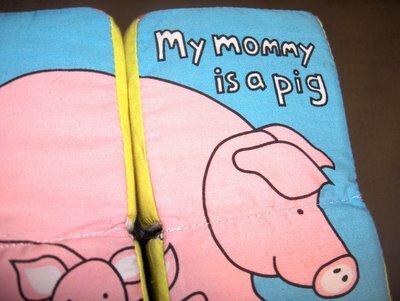 The Mommy is a pig thing, well, probably that's justification enough for never letting my kids learn to read. I came back for another laugh. You are absolutely hilarious! no way dude. 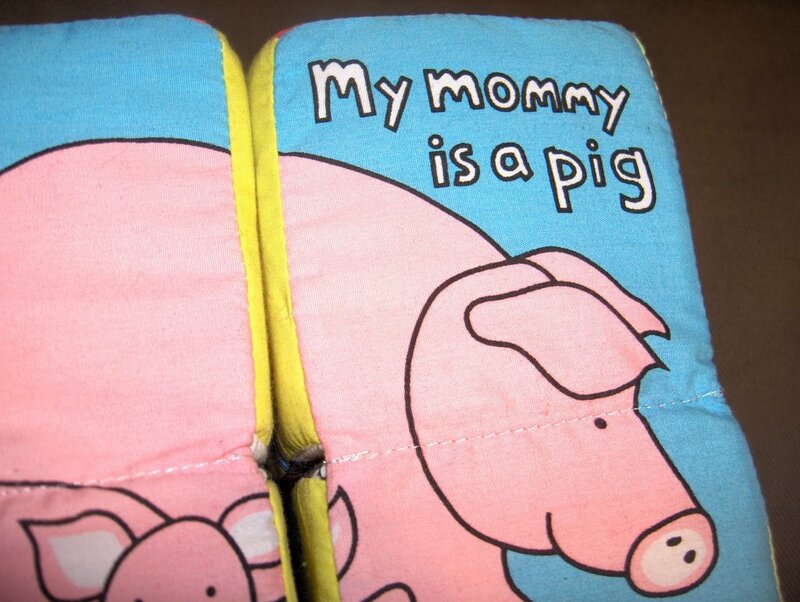 i cannot look at that "my mommy is a pig" picture without bustin out loud laughing. that is the funniest thing i've seen in awhile. i posted it on my site with a link back-atcha. too too funny. oh yeah, 1st time commentor (delurking)on your site. fabulous!